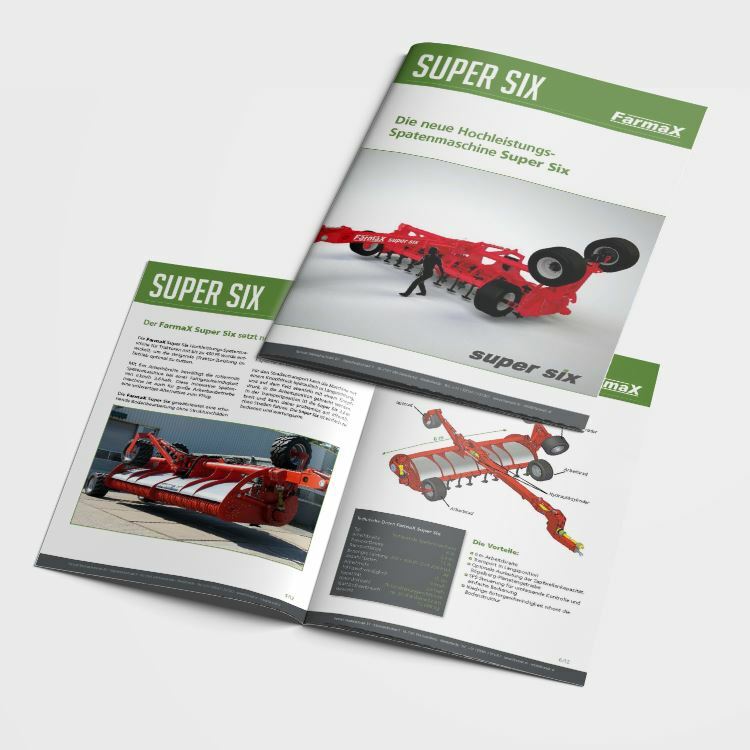 Farmax Metaaltechniek is set to unveil the new Super Six spading machine during the Agritechnica international trade fair. Adding extra lustre to the launch, the new machine is being nominated for the Agritechnica Innovation Award, presented by exhibition organiser DLG. AgriCommunicatie developed the bid book and, together with its German partner, was responsible for the layout and content of the German-language presentation.